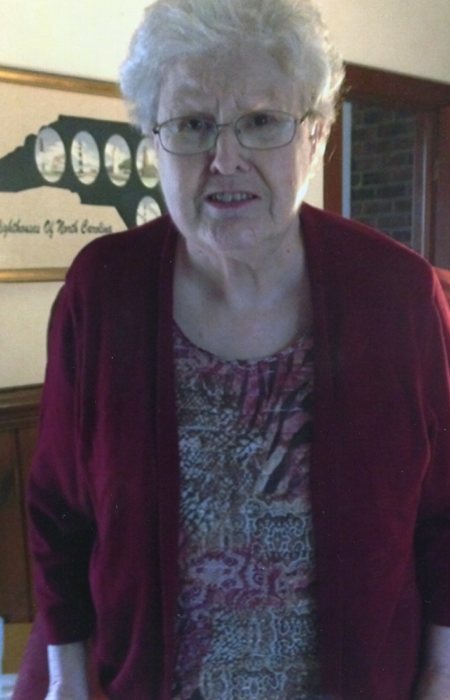 Mary Frances Wagner, 83, was beckoned home by her Lord and Savior on Saturday, April 6, 2019. She was surrounded by her loving family and friends. She was born in Halifax county on January 11,1936 to Dennis O. and Amanda Elizabeth Weaver. She was preceded in in death by her parents; sisters Oberlene Weaver and Judy Weaver, Edna Earl Newsome, Delois Whitaker; sister-in-law Dorothy Dawson and brother-in-law Billy Wagner. She is survived by her husband of 61 years Walter Wagner: daughter Melissa Smith (James); son Chris Wagner (Jennifer); grandchildren Amanda Shields (Matt), Victoria Deckard (Zack), Cameron Wagner, Averi Wagner; brother Billy Weaver (Sue); sister Margaret Pope (Bobby); sister-in-law Lena Doughtie (Harry); brother-in-law William Wagner (Carolyn) and several nieces and nephews. Mary Frances was a kind, gentle spirit with a big heart. She loved her family and friends deeply, and they were the center of her life. No one could ever have a better mother, wife, sister, grandmother or friend. We will always be trying to fill the emptiness and void of losing her. She will be greatly missed. The family would like to express their heart felt gratitude to the ER, ICU , third floor nurses, CNA's, and doctors at Vidant Edgecombe Hospital for their compassionate care to our mother and family. A celebration of life honoring Mary Frances will be held Monday, April 8, 2019 at 11:00 am at Carlisle Funeral Home with Pastor James Smith officiating. The service will will be concluded at Edgecombe Memorial Park. The family will receive friends at the funeral home on Sunday, April 7, 2019 from 6 to 8 pm, and other times at her home.